Neighbors | Zack Shively.Dobbins Elementary's read-a-thon also acted as a fundraiser for the school's PTO. The students raised $8,812.76 during the program. 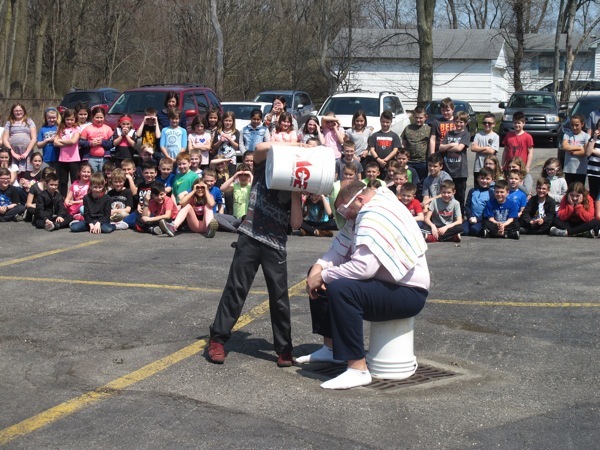 The students who earned the most pledge money got the chance to dump buckets of slime on teacher Nick Blanch. Pictured, Alex Cook poured smile on Blanch.